Beautiful hatchlings incubated to be female - no guarantees. Fed mainly on weeds (no pellets). 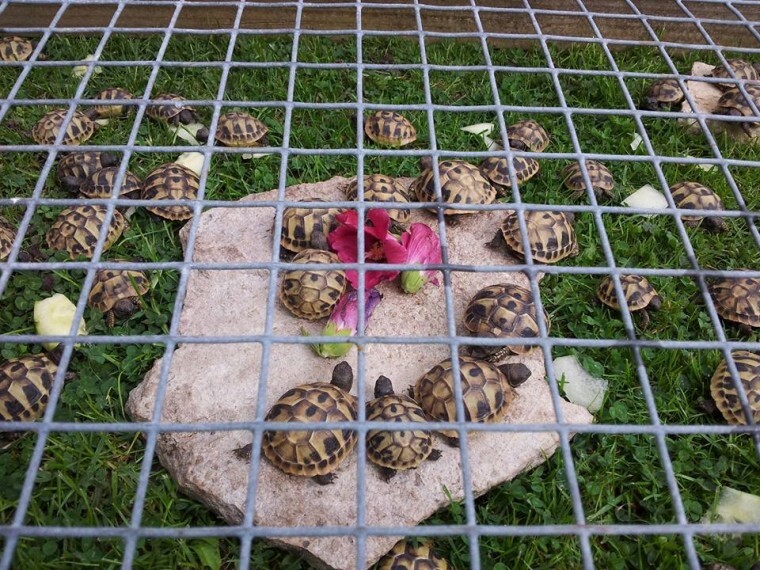 Tortoise breeder for over 35 years. Lively with good markings. 100 each or 2 for 180 - prefer to sell in pairs. Comes with care sheet/transaction cert. Help always available.